On the international stage, Canada has gained a reputation for being a leader in welcoming refugees. While in some respects this may be true, the reality is much more complex. For a long time activists have been advocating for a right-based approach to immigration. The rights of refugees stem from international law, and include a person’s right to receive state protection when they have fled another country where they were at risk of being persecuted. For example, refugee advocates are calling for the end of the Safe Third Country Agreement (STCA). This agreement allows Canada to reject refugees who try and enter the country at land borders. The STCA declares that both Canada and the US are equally safe for refugees, and so if a refugee tries to enter one country via the other, they will be sent back because they are already in a country where they can claim refugee status. Since the STCA’s inception in 2004, advocates have been saying that the US is not a safe country for refugees and they’ve brought this argument to federal court. The first legal challenge to the STCA went through the courts in 2007-2009. The Canadian Council for Refugees, Amnesty International and the Canadian Council of Churches argued that the STCA violated the Canadian Charter of Rights and Freedoms, and that US immigration authorities failed to comply with its obligations under international refugee law. [T]he STCA violates section 15 of the Charter, as women suffer disproportionately under America’s harmful refugee protection regime. The Federal Court agreed with refugee advocates and struck down the STCA. The federal government successfully appealed the case on the basis that the three organizations that brought the claim had not been personally impacted by the STCA. In other words, the Federal Court of Appeal did not overturn the lower court’s rulings on the merits of the claim, and left room for future private litigants to challenge the STCA. The Supreme Court of Canada declined to hear the refugee advocates’ appeal. The Canadian Council for Refugees, Amnesty International and the Canadian Council of Churches have joined individual litigants to challenge the STCA for a second time. 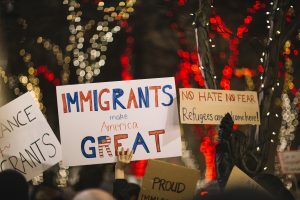 Trump’s blatant anti-immigrant policy has also been challenged and criticized, and it has inspired activists in Canada to once again challenge the constitutionality of the STCA. They say that the STCA violates section 7 of the Charter, which protects a person’s life and liberty rights, because refugees in the US are at risk of being unjustly detained and being forced to return to the country where they fled persecution. They are also arguing that the STCA violates section 15 of the Charter, as women suffer disproportionately under America’s harmful refugee protection regime. How are women disproportionately impacted by the US refugee system? 1. Women are denied status because of the way “refugee” is defined and interpreted. The definition of “refugee” used in Canada, the US, and internationally comes from the 1951 UN Convention relating to the Status of Refugees. While the Convention definition does not explicitly recognize that refugees may face persecution on the basis of their gender, Canadian courts have interpreted the definition broadly to allow those experiencing gender-based discrimination to claim refugee status. In contrast, US immigration courts have interpreted the definition of “refugee” in a narrow way that makes it hard for refugees to successfully bring claims when they are fleeing gender-based violence. 2. Women in the US are also disproportionately impacted by procedural barriers to claim refugee status. This includes an expedited removal process that denies people access to asylum if they fail to pass a “credible fear interview.” These ‘interviews’ occur at first contact with Customs and Border Protection Officers, where people must establish a credible fear of persecution or torture if returned to their home country. People need to get past this initial screening in order to actually present their full asylum case to an immigration judge for approval or denial. If Canada wants to live up to its reputation of welcoming refugees, we need to modernize our immigration laws and policies to counter the rising anti-immigrant rhetoric in this country and abroad. The US refugee system also includes a one-year bar, which prevents people from bringing their claim if they’ve been in the US for a full year. The one-year bar particularly affects people who have suffered violence on the basis of their gender or sexual orientation. They may have trouble bringing their claim forward because of shame and social stigma. 3. 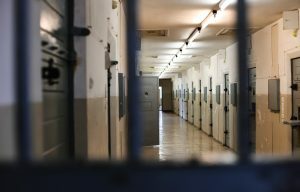 Furthermore, women and trans claimants are often put into detention in the US, where they may be sexually assaulted and denied health care, including during pregnancy. In June 2018, the Trump administration tried to totally block women fleeing domestic violence from being granted refugee status. Attorney General Jeff Sessions ordered immigration courts to reject claims involving “private” crimes, like gang violence or domestic abuse. Fortunately, this order was overturned by a judge in December 2018. This move by the US Attorney General is just one in the long series of efforts to curb immigration. Since Trump became president, his administration has reversed Obama’s immigrant-friendly policies and lowered the cap on refugee admissions from 110,000 to 30,000. Trump’s office has made many other administrative changes to immigration policies that have flown below the radar. These legal changes do not go through congress or the senate, and so Trump can curb immigration without too much media attention or pushback from other elected officials. Trump campaigned on anti-immigration promises, like his proposal to build a wall along the US-Mexico border and his pledge to ban all Muslims from entering the US. Anti-immigration is a core feature of far right ideology and it helped him get elected. But Trump’s blatant anti-immigrant policy has also been challenged and criticized, and it has inspired activists in Canada to once again challenge the constitutionality of the STCA. One of Trump’s first acts as president in January 2017 was to ban citizens of six Muslim countries from entering the US for 90 days. This led to mass protests and court challenges in the US. Canadians also began organizing, with thousands showing up at anti-islamophobia rallies and lawyers volunteering their services at airports. Members of Parliament and law professors also put pressure on the federal government to repeal the STCA. Meanwhile, the Canadian Council for Refugees, Amnesty International, and the Canadian Council of Churches prepared to challenge the STCA in court for a second time, and 700 law students from all 22 of Canada’s law schools participated in a “research-a-thon” to support the case. 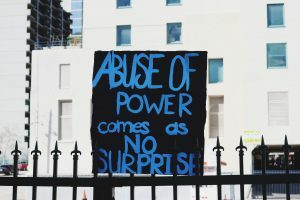 In the summer of 2017, the case was launched, and now in 2019 the parties are preparing for their arguments to be heard by a judge. West Coast LEAF has joined the call, as we’re committed to supporting refugee women and others impacted by gender-based discrimination. We have submitted an application to intervene in the case to assist the court in interpreting section 15 of the Charter through the lens of substantive equality. 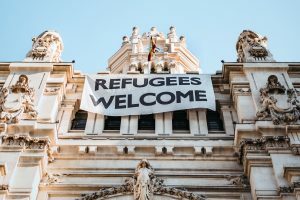 If Canada wants to live up to its reputation of welcoming refugees, we need to modernize our immigration laws and policies to counter the rising anti-immigrant rhetoric in this country and abroad. This means repealing legal agreements that limit refugees’ ability to access our borders and shifting towards an approach to immigration grounded in international human rights. Isabelle Busby participated in the 2017 research-a-thon for this case, and is now the articling student at West Coast LEAF. In her free time, she loves to bake and experiment with home fermentation.